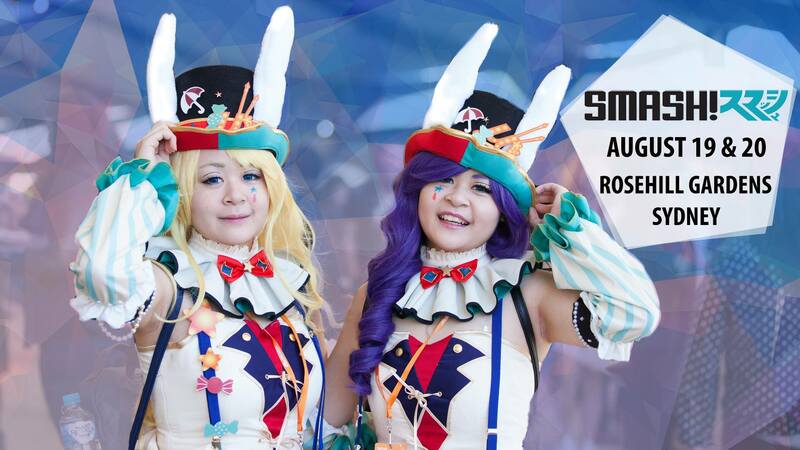 Let the countdown begin to Australia’s #1 Japanese pop-culture convention! Celebrating its 11th annual convention this weekend on August 19th and 20th at Rosehill Gardens (NSW), SMASH! SYDNEY MANGA AND ANIME SHOW is returning for a spectacular two-day event that pop-culture fans will not want to miss. A unique driving force in the Australian pop-culture scene, SMASH! is the ultimate convention for fans of geek, gaming, manga/anime, cosplay, and entertainment. Featuring an action-packed weekend of events and attractions, attendees will be able to boast their cosplay costumes on and off stage; participate in workshops and competitions; watch live performances; dine at the SMASH! Maid Cafe; purchase art and anime-related merchandise; build their own Gundam model; and learn a few things about art, cosplay, and voice-acting from special guests. Set to be the biggest year yet in SMASH! history, SMASH! 2017 is hosting a star-studded line-up of special guests that will impress pop-culture fans. 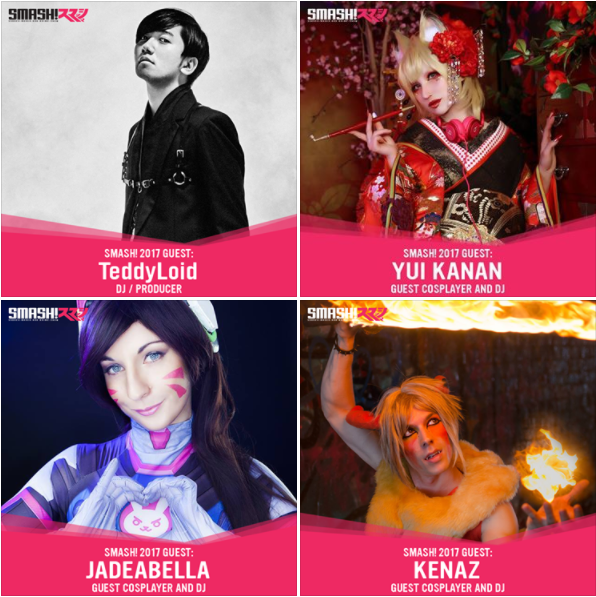 Special guests include cosplayers BAOZI and HANA; Japanese voice actors DAISUKE SAKAGUCHI, SHIZUKA ITOH, SHIORI MIKAMI; manga artist ASAMI HAGIWARA; character designer YUSUKE KOZAKI; gaming producer HIROAKI YURA; and illustrator REDJUICE. The Japanese pop-culture experience doesn’t end there as fans will be able to attend a night event dubbed ‘SMASH! After Hours’. Leading the party on Saturday night will be special DJ guests TEDDYLOID and YUI KANAN, accompanied by local DJs KENAZ and JADEABELLA. Complete with extra activities such as competitions and performances (including a duet between Teddyloid and Vocaloid sensation IA), SMASH! After Hours is an event not to be missed. SMASH! President Andrew Qiu says SMASH! Sydney Manga and Anime Show is a “pop-culture convention that is on an entirely different level from other Australian conventions”. “A celebration of all things Japanese pop-culture, SMASH! is one of the greatest events of the year,” Qiu said. SMASH! 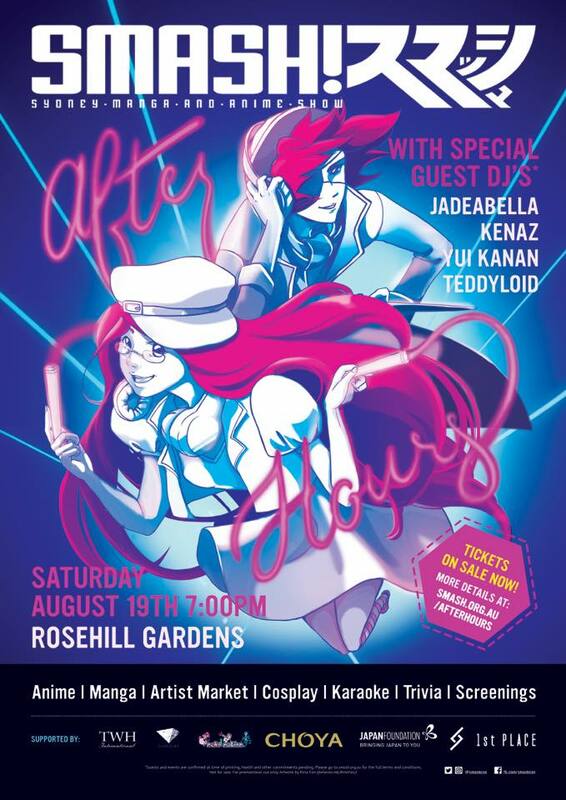 2017 is a Japanese pop-culture convention that will take place this weekend on August 19th and 20th at Rosehill Gardens (NSW). Attendees will be able to purchase tickets on the day from $35 – $60. For more event information, visit www.smash.org.au.